After an almost two year wait for new episodes, Game of Thrones viewers were not introduced back into this sprawling world with a sprawling map, but instead a very pointed one. The now iconic opening sequence changed quite a bit for this season, because the show has narrowed its geographical scope. Instead of wandering all over Essos and to a variety of holds without Westeros, there are only 3 (ish) that mattered: The Wall, Winterfell, and King’s Landing. In between the (now destroyed) Wall and Winterfell, though, there is an important location: Last Hearth, the seat of House Umber, where we see a visual representation of the White Walkers moving in and (as we saw in the premiere) leaving a little something behind. One of those changes also comes to the astrolabe, which has shown key events from the story’s lore including the Doom of Valyria and the Rise of House Baratheon. 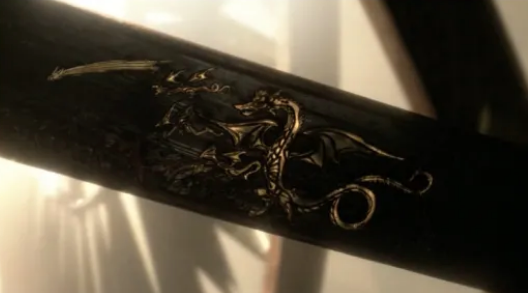 Now, the astrolabe shows events like the Red Wedding and the birth of Dany’s dragons, as well as the fall of the Wall. “The idea is we have witnessed history that has become memorialized lore, and we’re probably going to witness more,” Angus Wall said.